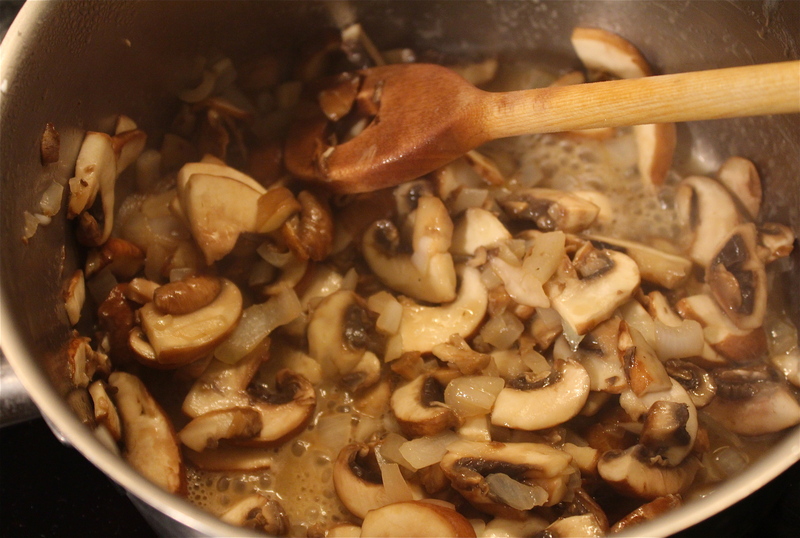 Take a pot and heat up 2 of the 4 pieces of butter, add the onion, garlic and chopped mushrooms and cook them in the butter with 3 pinches of salt for about 7 minutes on a medium heat. Add the rice and stir it. 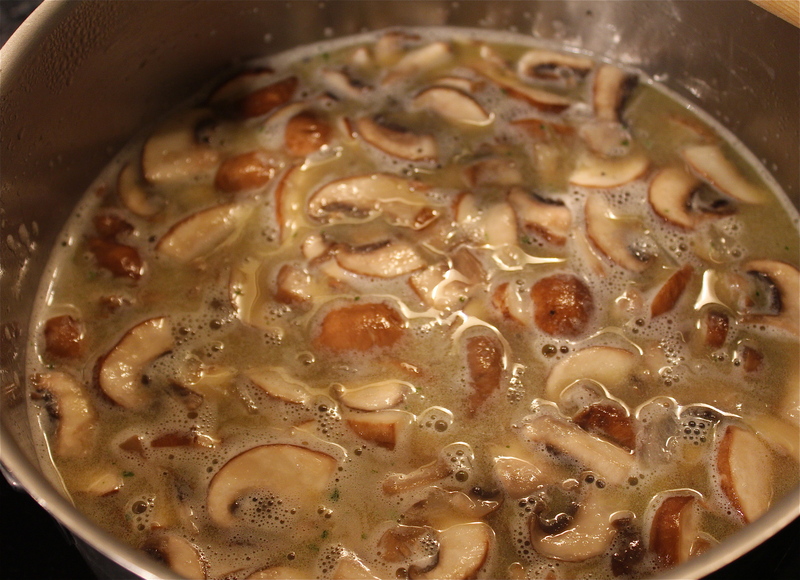 Then add white wine and boillon. I like to stay close and stir it every no and then. Cook it until the rice is ready (takes about 15-25 minutes, depends on the rice). 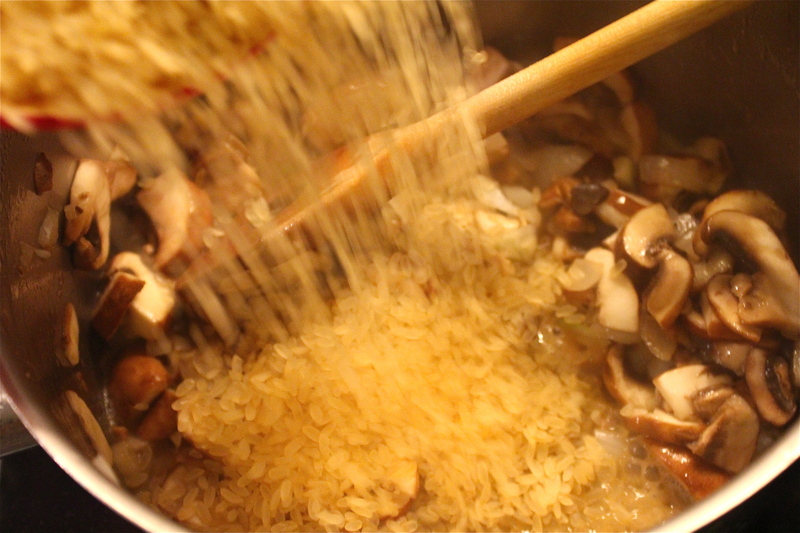 If the liquid has evaporated before the rice is ready, add a bit more water to it. 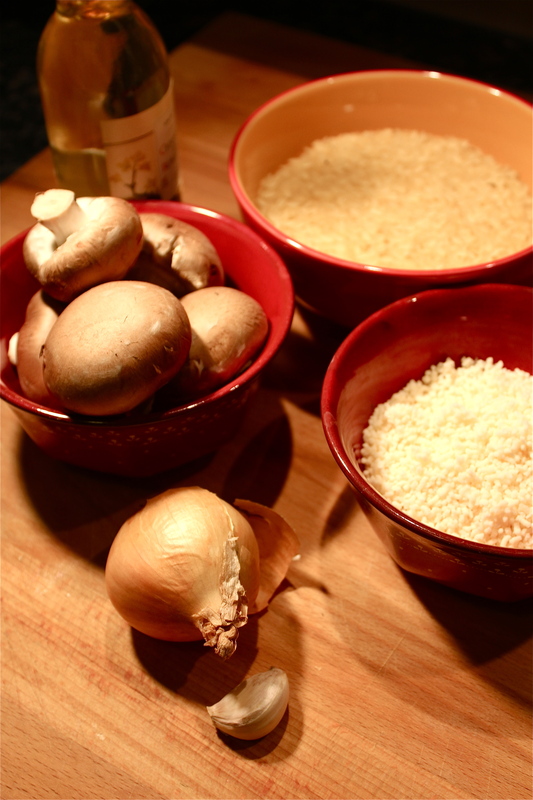 When the rice is ready and al dente and moist, take the pot off the heat and add the 2 butter pieces, then the parmesan to it by gently mixing it under, don’t stir it. Spice it to your taste. Put the lid on the pot and let it rest for a minute or two. 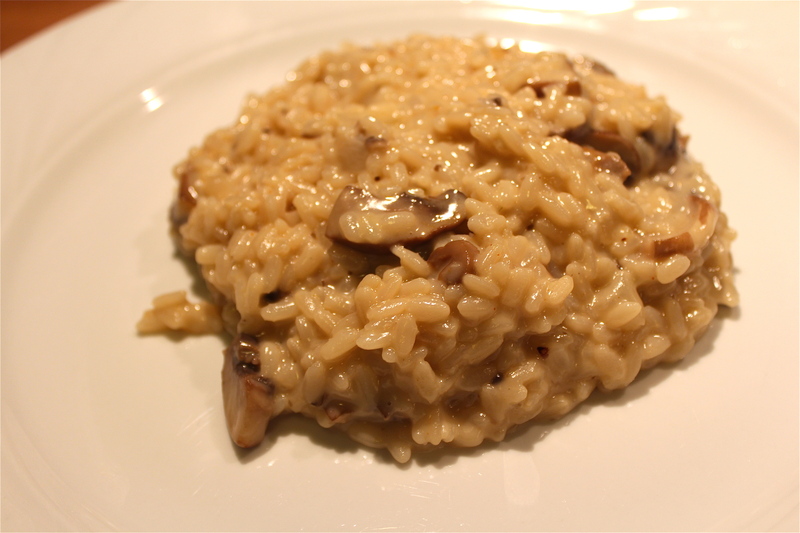 The creamy Risotto is ready to serve now! Great with fresh salad or meat! Enjoy it!